Rock themed guitar pick earrings! 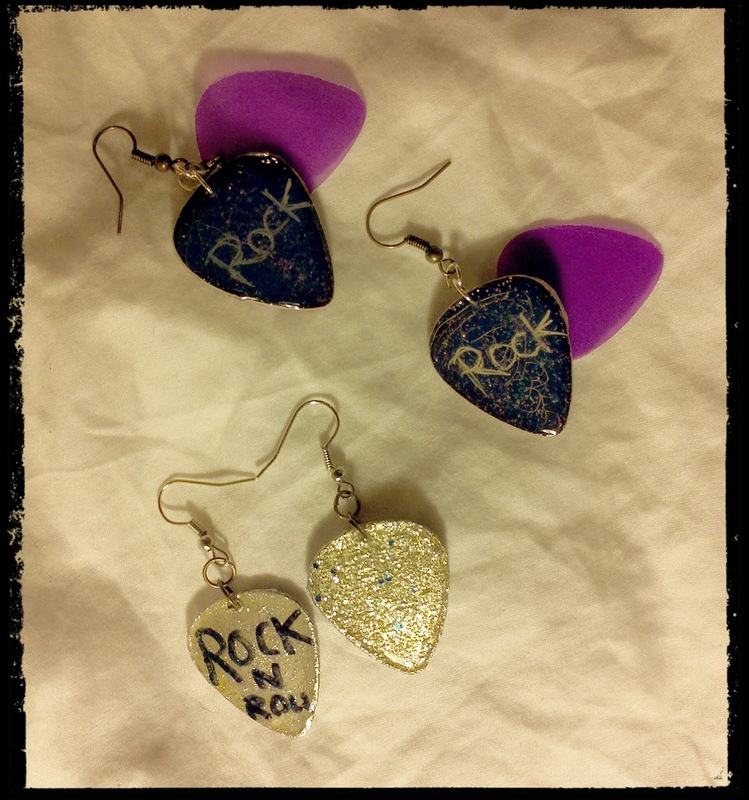 These earrings feature a pair with hand written "ROCK" with Scratch Magic Boards and purple picks, the other are shiny, glittery silver with "ROCK N ROLL" written on one side of each. And remember, these babies are covered in epoxy resin and mod podge 3D magic for a plastic coat!